The heart of my work in this world is now, and has always been, based on empathy, compassion and kindness. I have learned that embodiment, the practice of living fully in one's body, is an important step on the path towards wholeness. By becoming embodied we can develop more resilience which is especially useful when life arises and presents us with challenges. Embodiment and wholeness are states that I continue to strive towards in my own life and that I hope to facilitate for my clients if that is their desire. Biodynamic Craniosacral Therapy is an empathy and compassion-based touch therapy that, while subtle, can have profound results. Because the work is so gentle, it is appropriate for any situation. BCST is especially valuable in treating perinatal trauma, PTSD, anxiety, concussion and Traumatic Brain Injury. Once safety and trust have been established, I have observed that clients will often begin to notice changes in their lives which truly support their goals for themselves. Dr. Michael Shea, B.AM.A., Ph., D.
"There is a wisdom that comes through Sally's hands and heart. She radiates clarity and professionalism. I've seen it and felt it for many years. Everyone would be fortunate to work with Sally." "Sally brings a dynamic blend of therapeutic skills and wisdom to her private practice developed over many decades in the health care and healing professions. Her years as a nurse and educator have created a professional ground of knowledge and compassionate communication that she openly shares with others. 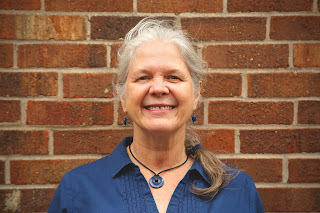 Her ongoing curiosity about and commitment to health through meaningful connection and touch have led to extensive training in both massage therapy and biodynamic craniosacral therapy. Sally's warmth, humor, expertise and dedication contribute to the client's experience of deep caring and sustainable well-being. It is my great pleasure to recommend her to all those interested in receiving the highest quality of touch therapies." Thank you so much for the awesome session. You exude such an all encompassing trusting and gentle environment for each session! I feel your heart centered connection with your work. To read more on this site about Biodynamic Craniosacral Therapy, and how a session might look, click here to see my links & FAQ page. My primary practice is Biodynamic Craniosacral Therapy (BCST). Massage may be included with sessions as needed. 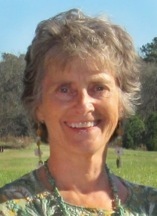 I also have advanced training and certification in Biodynamic Cardiovascular Therapy. I have worked with clients throughout the life span, from pregnancy and birth, through the middle years and with elders. I'm published! I'm grateful to be a contributor to Michael Shea's 2016 publication, Biodynamic Craniosacral Therapy: The Heart of the Practice, available on Amazon.